Four strand copper plated brass slide clasps in are easy to open and close with a strong, self-latching inside lock. Use with bracelet and necklace designs...with beading wire and for bead weaving or seed bead projects. 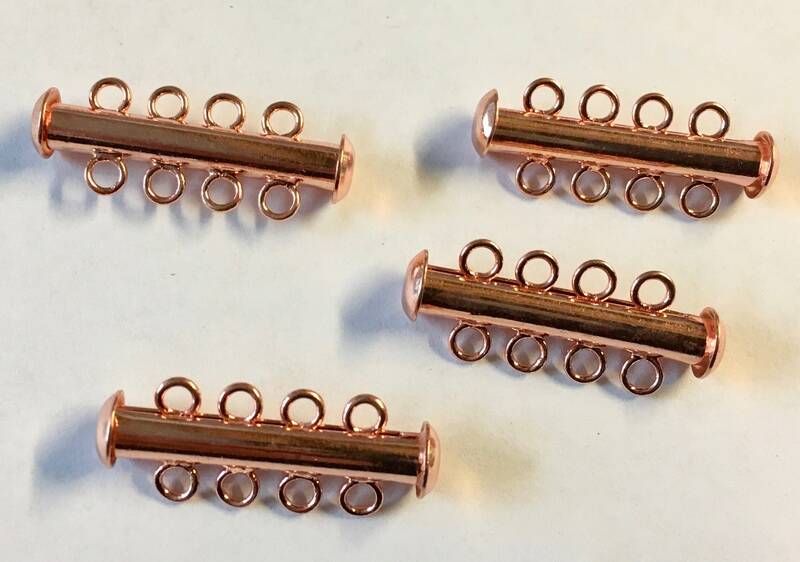 You will receive 4 copper plated 4-strand clasps, 26mm x 6mm.